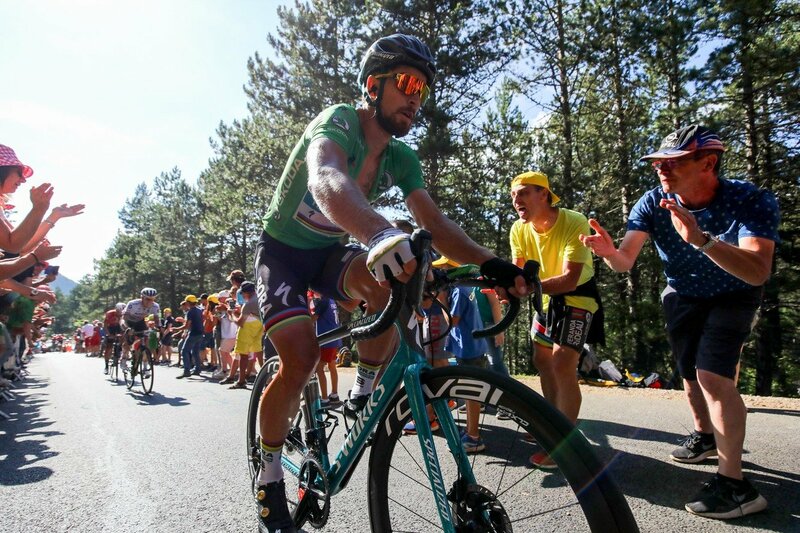 Once again, Peter Sagan of the BORA – Hansgrohe team delivered a green jersey to the finish line of the Tour. A part of such a great job was done by his custom Specialized S-Works Venge Disc bike. 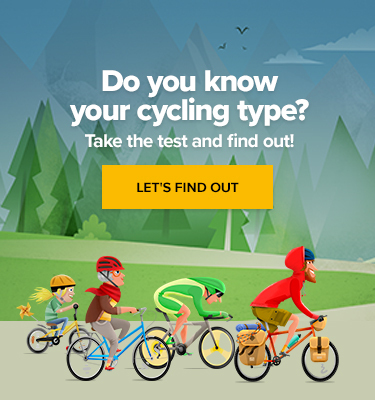 We were curious what kind of machine brought one of the best cyclists in the world to the overall score of 467 points so we checked it out. Well, let’s start with the frame. Peter has opted for the size of 56 cm. His height is 184 cm, the saddle height from the bottom bracket is 75 cm and the distance from the tip of the saddle nose to the centre of the handlebars 62,5 cm. The frame is 200 grams lighter than its predecessor and the fork weights 250 grams only. The bike’s overall weight is only 7,46 kg. The bike’s not only light but also aerodynamic, making it 8 seconds faster over 40km time trial. As always, it’s a compromise between aerodynamics, weight, and stiffness. In this case, the engineers managed to blend the best of all characteristics. The bike is much faster and lighter than the previous model. The handlebars and stem combination is 107 grams lighter than in the previous model. The stem length is 145 mm, which is certainly one of the longest stems in World Tour peloton. Peter holds his S-Works Aerofly 2 aerodynamic shaped handlebars that are 42 cm wide and watches the Wahoo Element Bolt GPS navigation fitted to the front part of the stem. The bars have a low frontal profile and no tape on the top for achieving the maximum aerodynamic effect. The shifters mounted to the handlebars are Shimano DuraAce Di2 9170, getting along with disc brakes. While the front rotor has a diameter of 160 mm, the rear one has 140 mm. There are some more parts from the DuraAce groupset including front and rear derailleur, chain, crankset or pedals and the rest comes exclusively from Specialized and its wheel company Roval. The Shimano DuraAce cassette has a range from 11 to 28 teeth while the chainring combination is 54/42, teeth which is rather an uncommon option. The power meter is made by Specialized. The water bottles are fitted to a pair of carbon fibre bottle cages. TL; DR – an exquisite machine for one exquisite Slovak.